Coming up the driveway one night we saw a black bear dash across in front of our headlights. 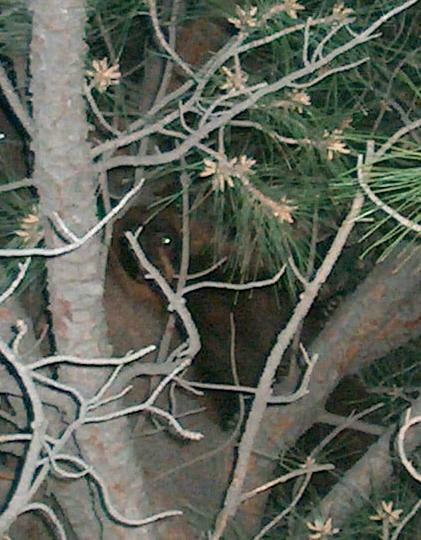 He climbed up the giant Ponderosa pine next to the milk house. See the next bear photo for more.